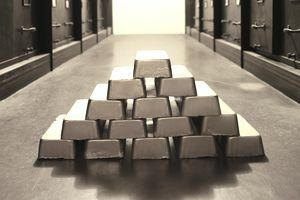 Gold bullion and coins provide a sense of security for many investors, but there are both potential upsides and some downsides as there are with any investment. If you're an investment advisor, some of your clients might be talking with gold dealers and exploring the possibility of buying gold even if your firm doesn't sell it to investors. It can help you help them if you're conversant in both the pros and cons of buying gold as an investment. And if you're an investor who's considering the purchase of gold coins or bullion, you should know the potential risks and rewards. Here's a guide for both investment advisors and potential investors. It's relatively easy to buy and sell coins, such as the Kruggerand. Investors have the ability to test the gold content of the coin when they buy gold coins. Owning and possessing gold can be very satisfying. There's a significant potential upside for gold. Even given these reasons for buying gold as an investment, there are some good reasons why you might not want to own it. Dealers charge premium prices and fees for gold coins. Gold has large liquidation spreads. It can be challenging to verify old or rare gold coins. Storing and insuring gold coins and bullion can be a hassle...and expensive. It's not clear how much price appreciation potential gold might have. Buying gold for investment purposes isn't the same as collecting gold coins. By purchasing gold from large, reputable dealers, investors receive the best opportunity to liquidate gold if they decide this is what they want to do. The physical delivery aspects of owning gold coins and bullion require insurance and a secure vault in which to store it. Individual investors see many televised opportunities to purchase gold coins from a mint. Anyone considering a purchase based on one of these ads should evaluate the premium asked over the current spot price of gold. When the amount differs by 10 percent or more, mint coins may not be the best choice. Liquidating gold through the dealer can be expensive. Again, clients need to know more about the liquidity of their investment purchase if the commission premium is 10 percent or higher. Krugerrand gold coins from South Africa remain popular. They're plentiful, and more dealers create a market in the coins. The purchase and sales spreads may be narrower because of the sheer numbers of these coins.